Google is one of the most successful internet company, and it's scope is so wide now that almost every internet user uses at least one product from Google. And Google continues to expand and create new products. But in the process, it has been pulling the plug on some products as well. Take iGoogle, for example. Or Google Video or Google Talk Chatback. 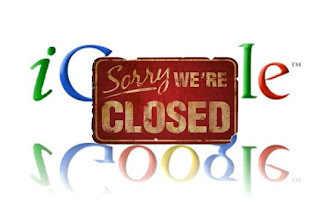 There's a whole plethora of products that Google introduced, but now have been discontinued. But why does the internet giant cut off its products, even when people do seem to be using them? As Google's chief of webspam team puts it, there can be a variety of reasons for this, but malice or ill-will is not one of them, as supposed by some of the people out there. The purpose of killing off products is not to "get" anyone or something. Rather, it has more to do with 'rearranging' things, so to speak, and see how they work out. Sometimes, it's all about the ideas that are presented. Google didn't become the leading search engine overnight. It had to explore new things, and try out new ideas. Sometimes, when you're trying out new ideas, not all of them work. So it's just better to let go of them, rather than clinging on and using up your resources. In some cases, some ideas might not just get the required traction over time. The speed with which technology evolves, and the speed with which people adopt it might cause an idea to become outdated pretty soon. So instead of maintaining it, it's just easier to let it go, or maybe merge its functionality into another project, or dump the project entirely and start from scratch with few modifications. Another concern at Google is resource limitation, and it's pretty interesting actually. Google, despite being a pioneer and a giant, still has finite resources. And the projects that it starts only have a limited amount of resources. A lot of people think of Google as being a very large company, with infinite resources (or close to infinite). But the fact is, every project has its own projected cost, and output. And if the output isn't what was expected, then the project might be scraped. And finally, its about what services people are using, and which they aren't. A widely used service, such as Gmail is bound to stay around, because millions of people like it, and use it everyday. But some products get used simply because they are from 'Google', but people don't actually like or want such a product. So if the volume of users is low for a products, then there are good chances it's gonna be scraped. This is one of the reasons why Google+ is here to stay (a lot of people like, and use it). Buzz lost focus because there weren't many enthusiastic users around it. Orkut, however, failed due to completely different reasons.